I remember a conversation I had with a friend a few months ago when I was deciding wether or not to invest in new sheets and a goose down duvet+pillows, I was a bit hesitant because of the steep price I'd have to pay but she offered me a very good point: "We spend half our lives in bed! It's not a waste of money." True right? So I closed my eyes and went shopping the next day. No regrets. Why deprive ourselves of luxury and comfort on a daily basis? Why not invest in well-made pieces that make you feel good so you don't have to wait 'til you check into another hotel to enjoy these creature comforts? Nothing like coming home at the end of a stressful day to a beautifully stylish and comfortable home. And that is the reason why Interior Design has always been a hobby of mine. It's just like style blogging but instead of styling myself, I dress our home. 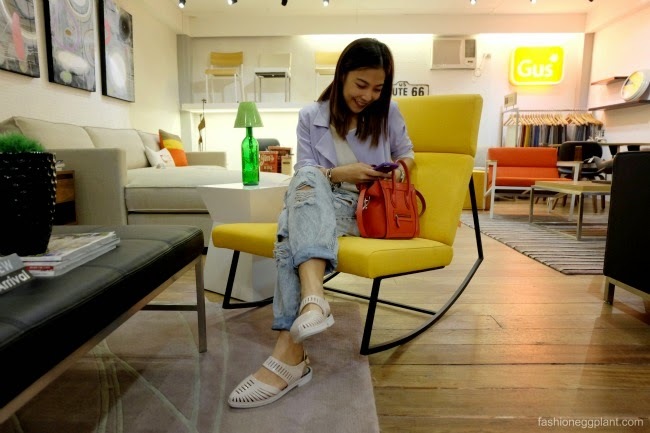 And that is why I was so delighted when I received an invite from Gus Studio Manila to visit their new branch at the 2nd floor of LRI Design Plaza on Nicanor Garcia St. in Makati. 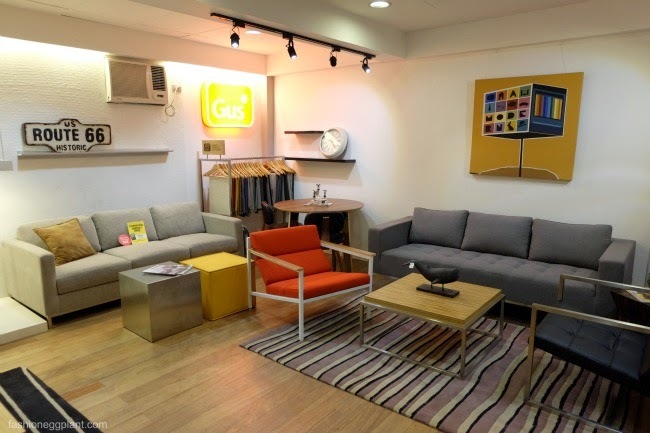 Gus was brought to the Philippines by Living Space Home Furnishings to cater to those who appreciate modern yet timeless pieces that are elegantly designed and earth-friendly. Gus is a design group from Canada with modest beginnings. They wanted sleek, unfussy furniture and so they made their own. Soon after, their pieces started selling like hotcakes. The rest is history. And yes, they are also an FSC-Certified company and a proud member of the Sustainable Furnishings Council. In fact, each year, you can trade in your old furniture for recycling and get a 20% discount on a new piece from Gus during their Trade-IN Trade UP events. But really, what I love most about the pieces at Gus is that they are multi-functional, sturdy and extremely comfortable. You can opt to have it as one piece, two pieces as a chaise lounge + 3 seater and you can even choose which side you want to have your "l-shape" on. A feature that's great for today's tiny condominium units. Also wanted to buy this rocking chair in a vibrant yellow which will make a great statement piece in any room. Unlike most couches in the market right now that are so flimsy they sag after a few years, the ones at Gus are supported by a full metal frame and a solid wood bottom. They also come in strong industrial fabric offered in several color variations and a warranty! 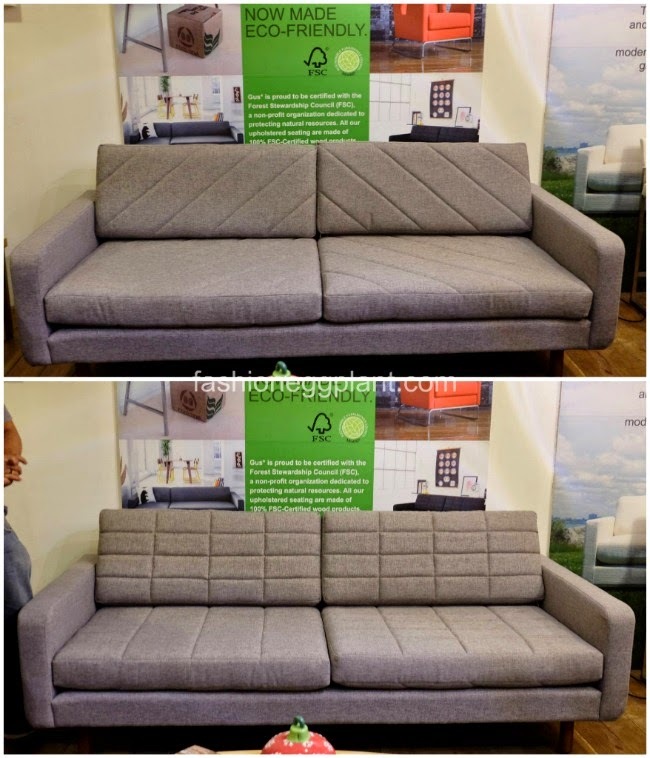 If you prefer something a little less bulky, the Bolton Multi-Sectional Sofa is perfect you. This small wonder allows 19 different configurations! Another feature I love? These bottom bolts which ensure that you're couch won't be moving all over the place when people start sitting on it. That's a real headache. I have an l-type couch right now without this bracket and I need to re-adjust it everyday. 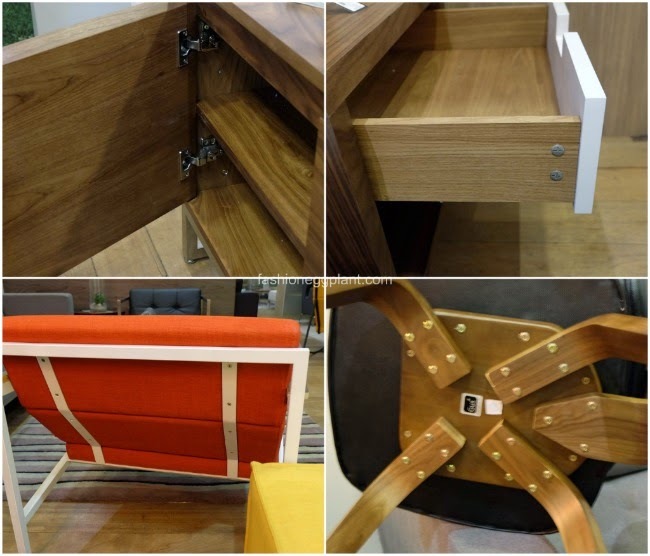 Everything at Gus is carefully reinforced to ensure that their furnitures lasts a very long time. But om the odd chance it breaks, call them so they can send someone over to have it repaired.